Periodic exhibits are held at the Gallery to which there is no admission . 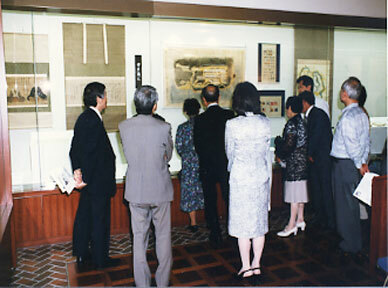 The "Local History of Fukuoka Exhibit" introduced newly acquired ancient and local material collections. The "Fukuoka Literary Exhibit" introduced literary men and women of Fukuoka, and literary material from or relating to Fukuoka. 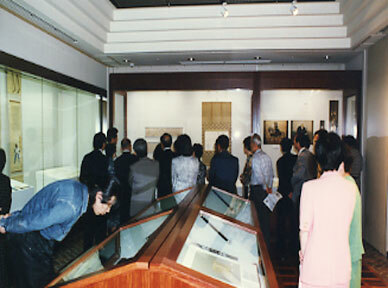 The "Film Archive Exhibit" introduced Asian film material as well as film related equipment. The Gallery is located within the corridor towards the left of the Entrance Hall of the library. Renting out the Gallery to hold exhibits is not permitted.